Professional gambler Maurice Michaelson (Anthony Valentine) has organised a group of ordinary punters who, under his instructions, intend to make a killing at the roulette table. 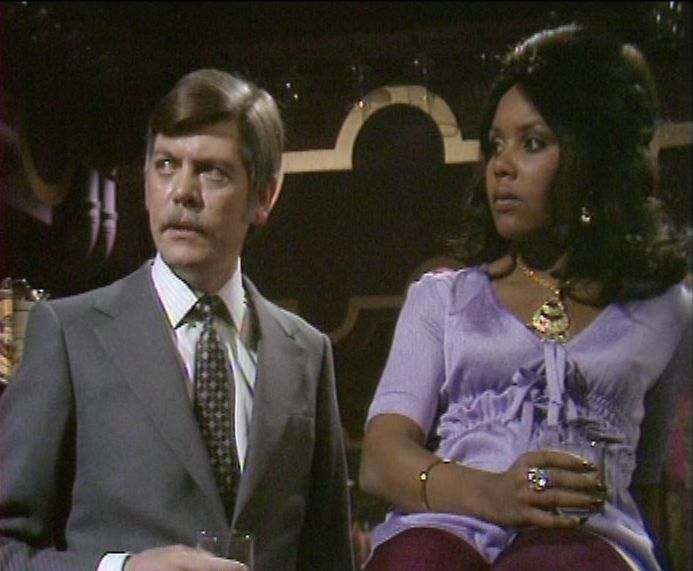 Unfortunately for Maurice, casino boss Parsons (Leslie Schofield) is keeping tabs on him, which makes it essential he protects his team from Parsons’ intimidating ways. Ever the good Samaritan, Arthur suggests that Terry’s flat would be the ideal place to keep them safe, although Terry – who had planned to spend some quality time alone with Penny (Ginnie Nevinson) – needs a little convincing …. Following on from his S1 appearance in Aces High and Sometimes Very Low, Anthony Valentine makes a welcome return as Maurice (although sadly this would be the last we’d see of him). Maurice has assembled together a mixed group of individuals who include the lovely Beth Morris as Jackie, the imposing Peggy Thorpe-Bates (probably best known as the long-suffering “She” – wife to Leo McKern’s Horace Rumpole) as Mrs Beecham and Ronald Leigh-Hunt (a very familiar television face) as Major Lampson. And after appearing, uncredited, in Gunfight at the O.K. Laundrette, Lynda Baron has a more substantial role – here she plays Sadie, a friend of Maurice’s long-suffering wife Maureen (Lesley Joseph). Penny’s disdain for Arthur, and his manipulation of Terry, is made plain. She tells Terry that “you never make any plans, you just drift around letting that Arthur con you out of your hard-earned wages”. And when Arthur calls round to Terry’s flat, her antipathy is even more pronounced. After she angrily tells Arthur that he needs Terry more than Terry needs him, Arthur responds derisively (George Cole on great form here). Terry is adamant that he’s not interested in Arthur’s latest minding job, but it would be a rather short episode if that was the case. So when Arthur mentions that there’s six hundred pounds in it for him, Terry starts to waver. Arthur then explains the mathematics to him. “Look, my agreement with Maurice is 10% of his 50%. He reckons they can clear five grand a night, work it out for yourself. No maybe not”. For once it appears that Arthur’s not diddling him, Arthur’s 10% would work out as £1,500.00 – 60% for him and 40% for Terry. Although you might want to wait until the end to see if Arthur keeps his word. Once Terry’s togged out in a nice suit provided by Arthur (at a price of course) he’s able to start protecting his charges, although the odds seem to be against him. How can he look after six people when they all go their separate ways at the end of the night? This leads them to bunk up at Terry’s (luckily Arthur’s got a consignment of sleeping bags from the last Everest expedition!). Poor Terry, he’s no match for Arthur. There’s some nice comic moments during this section – from the Major’s bitter comment that he was more comfortable out in Kenya, fighting the Mau Mau, to Penny’s forced politeness as she takes the drinks order (tea, coffee and either a cocoa or hot chocolate, if possible). Penny’s quiet week with Terry has suddenly become very crowded …. When Terry sets out to find Maurice’s wife, Maureen (who’s disappeared) it’s Arthur who’s left in the flat, minding the punters. He later bitterly remarks that even ‘Er ‘Indoors would be preferable to this. There’s another lovely scene when Arthur attempts to wake Penny, who is occupying the sleeping bag next to him. In her sleepy state she mistakes him for Terry and prepares to give him a fond embrace. He mutters “geroff” whilst she reacts in horror once she wakes up! Anthony Valentine’s on fine form as usual (since there was clearly more mileage in Maurice, it’s odd that he never appeared again). Stock music makes an unwelcome comeback (it’s rather strident and electronic) as Terry and Maurice attempt to find Maureen. And when Maurice finds himself getting a beating from Parsons’ goons there’s a touch more stock music (this time it all goes a bit funky). Although the casino stuff is entertaining (especially when Terry tangles with – and bests – Parsons) the hunt for Maureen is a little less involving. Not quite top tier then, but with a cast of familiar faces and Terry’s relationship with Penny placed under extreme pressure, the episode zips along nicely. The Carrier opens with Callan and Lonely indulging in a spot of breaking and entering. This was something they did on a regular basis during the first three series, but this episode marks the first time they’ve indulged during series four. What’s very noticeable about this section of the story (which lasts for the first fifteen minutes) is that neither of them speaks a word. It’s reasonable enough that they would want to keep noise to a minimum, but the complete lack of dialogue was presumably Peter Hill’s choice. And it does help to make what would otherwise be a fairly routine sequence slightly more interesting. Lonely’s cab is parked right outside and this will lead to both of them getting arrested. As they continue to work inside the house, outside we see a policeman take an interest in the parked cab. Bizarrely, he’s able to open the door (did neither of them think to lock it?) and he then proceeds to spend the next few minutes walking around it. It’s not entirely clear why the cab should be of such interest. Did no cab driver ever park their vehicle outside their house? If this was such an usual sight on a London street in the early 1970’s then it probably would have been wiser for Callan to have used an unmarked car, rather than something so distinctive as a black cab. Everything seems to go off fine – Callan photographs the documents that the Professor is intending to hand over to his contact (who he believes is a Dutch bookseller called Amstell, but is actually a KGB hitman called Tamaresh) and returns to the Section. But Lonely takes a fancy to a small trophy in the Professor’s study and steals it. When the Professor returns home the next day he notices that it’s missing and calls the police. This is a part of the plot which stretches credibility a little. It might have been possible to believe that the series one Lonely would have been so foolish, but it’s less credible that the series four Lonely would have done so. And as the police have a record of the cab parked outside the Professor’s house they put two and two together and pick up Lonely and Callan. Callan and Lonely aren’t in police custody for long though, as they’re bailed out by Detective Superintendent Brown (Windsor Davies) of Special Branch. This disgusts Detective Inspector Vanstone (Michael Turner), the officer in charge of investigating the break-in. Vanstone might accept that people like Callan are necessary to defend the security of the realm, but it’s the sort of person he is (an ex-con) which seems to upset him. Hunter’s far from pleased that he had to ask Special Branch to release Callan and Lonely. 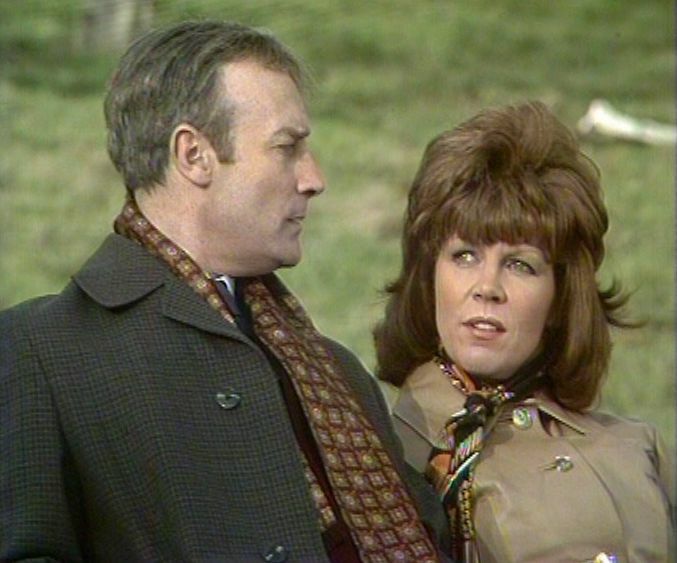 This then develops into the major theme of the remainder of the episode – the uneasy relationship between the Section and Special Branch. Both organisations operate in similar areas, which often means that their interests overlap – but neither Hunter or Brown would dream of pooling information with the other. This, as we’ll see, will have tragic consequences. Special Branch also have an interest in Tamaresh (Ralph Nossek). Two officers, Mary (Jean Rogers) and Allan (Roy Herrick) are assigned to tail him, but it’s clear that neither know who he really is. We see Callan and Meres monitoring their radio transmissions as they follow Tamaresh to Epping Forest and both Section men know that the officers are going to their deaths. They could have warned them, but since they shouldn’t have been monitoring their radio in the first place it’s not surprising that they didn’t. Tamaresh quickly kills Allan (who followed him into the wood) and then emerges to find Mary. Whilst he killed Allan without speaking, he’s slightly more sadistic with Mary – he tells her that her partner’s dead and lets the news of that sink in before he kills her as well. 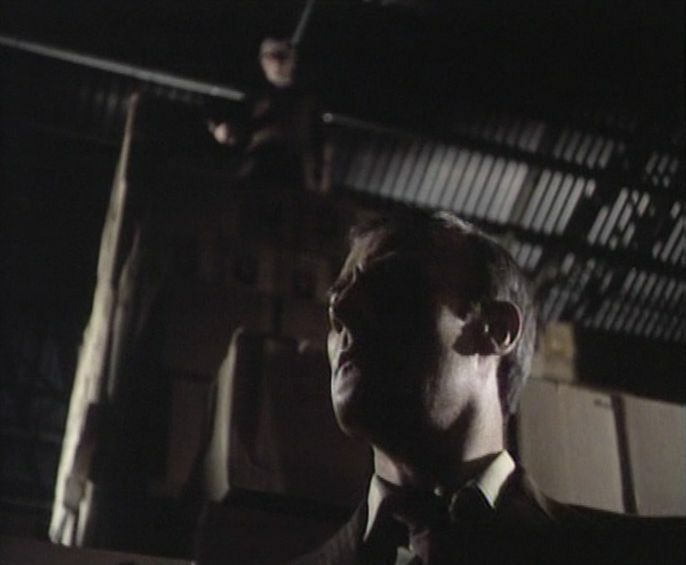 When Callan realises that Special Branch had no idea who they were trailing, he launches an angry tirade against Hunter. Hunter’s unmoved though – the Section doesn’t share information with other departments and that’s an end to it. It’s an attitude which Callan finds hard to take – at least when he goes up against men like Tamaresh he knows what to expect, but the two unarmed police officers (who Callan says were little more than kids) never had a chance. Hunter orders Callan to kill Tamaresh (which he naturally does) and the Professor is brought in. Nothing will happen to him, but he’ll have to live the rest of his life knowing that nobody will ever trust him again. 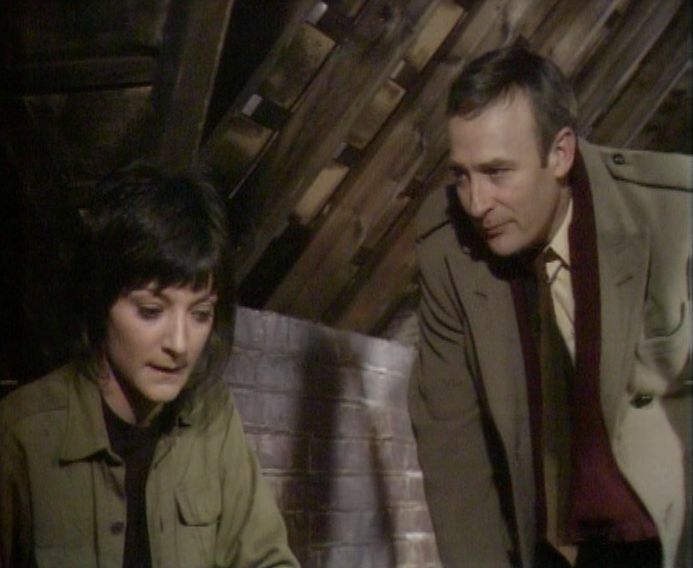 Peter Hill’s only script for Callan is a decent effort, although several parts of the story (Lonely’s cab and his light-fingered pilfering) do detract a little. 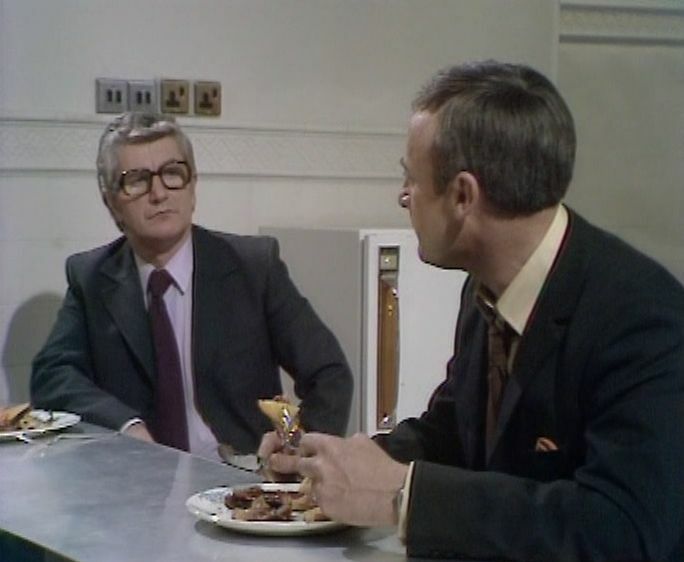 It’s possibly no surprise that the police feature strongly in this episode since Hill had worked for the Metropolitan Police for thirteen years, ending up as a Detective Inspector in the Murder Squad. He left the police in 1969 to pursue a writing career and by this time had already contributed to several popular series, such as Public Eye, Armchair Theatre and Special Branch. 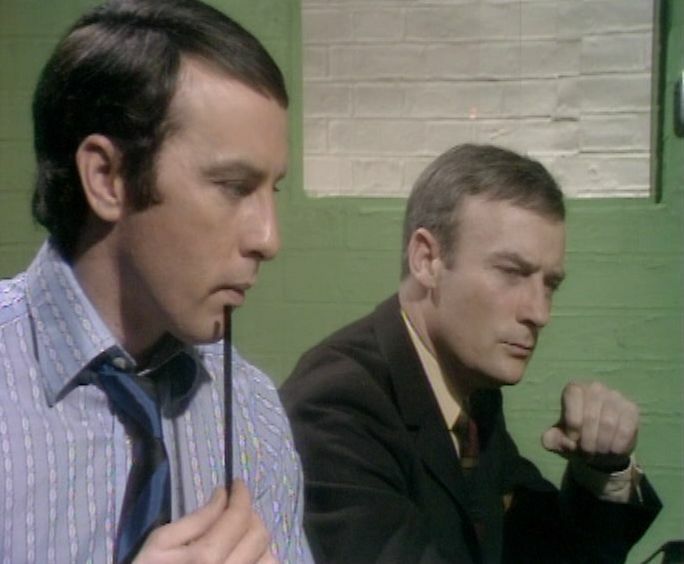 Since there was no real need for Callan and Lonely to be arrested, it might have been better to remove those scenes from the script (it wouldn’t have affected the later conflict with Special Branch). But it does give us another one of those wonderful scenes where Callan browbeats Lonely. When Lonely calls round to see him, Callan is unblocking the sink (another thing you never see James Bond doing) and he proceeds to berate Lonely whilst waving a sink plunger in his face!